With our managed WordPress Hosting plan, we will secure your WordPress site, scan the servers as well as checking for any outdated plugins or outdated WordPress versions and sends notices for outdated versions or detected security risks. We may also send you emergency update notices and let you know which plugin has what kind of potential risk along with the required instructions of how to update the plugin. Staging site for testing – Create a staging site with just a click. Make changes. Add features. Update plugins and themes. Test any changes you make to your site before pushing it live, so you’re sure everything works perfectly for your visitors. Migrate your existing site – With our auto-migration feature, you can migrate your WordPress site to us with one click. If you use a custom login page, our 24/7, award-winning support can walk you through your auto migration. Daily backups with 1-click restore – We back up your site every night — files, databases, everything — and keep that version safe for a full month. Need to restore a file or folder? You can do it with just one click. Tools to get found on Google – Our WordPress search engine optimization (SEO) plugin walks through your site and automatically handles your site’s basic SEO needs, so get seen by Google and other major search engines. No tech skills needed. Malware scan and removal – Hackers can use malware to steal your customers information, deface your site and ruin your reputation. Our Website Security (included with Ultimate plan) finds and removes malware before it harms you or your customers. 24/7 award-winning support – As the world’s largest WordPress hosting provider, our award-winning, 24/7 support team knows how to solve your toughest hosting issues. Plus, each plan includes access to hundreds of WordPress training videos and in-app interactive help. Optimized for speed – Our platform is built expressly for WordPress, with high-performance features like load-balanced servers and SSDs. Our clustered server environment means your site is ready to scale for big traffic spikes with no lag in performance. 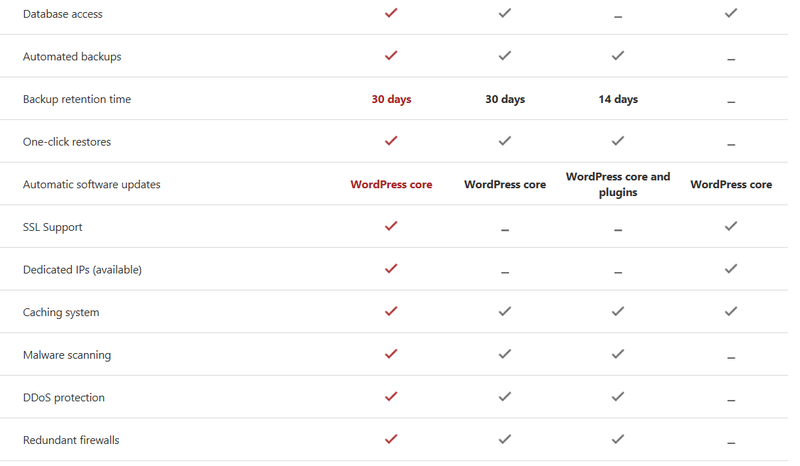 Managed and automated tasks – Your hosting plan is set up with WordPress installed and ready to go. We back up your site nightly and help keep it safe by insuring you’re always on the newest version of WordPress with all the security updates applied. We can guarantee your 25,000 Visits at very cheap prices $5.99/m, and others may charge you dozens of USD. Some Managed WordPress Hosting even do not provide you security guarantee. 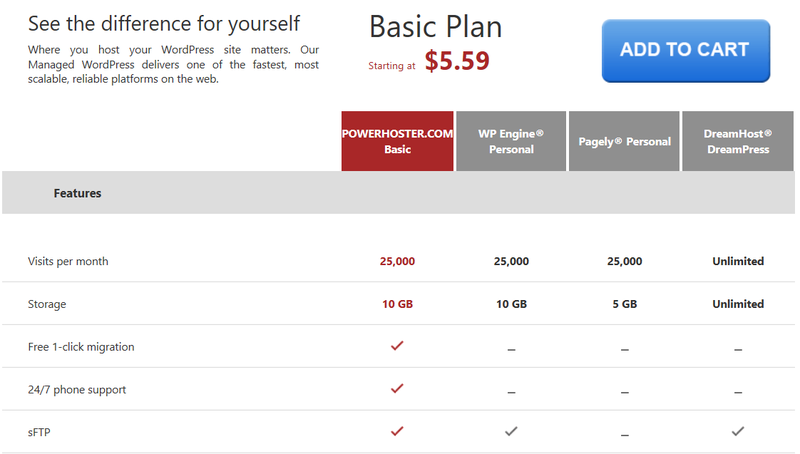 It is the cheapest WordPress Web Hosting. I host my industry news website here using their deluxe WordPress web hosting plan and alexa ranks 156,000 and it works very well. 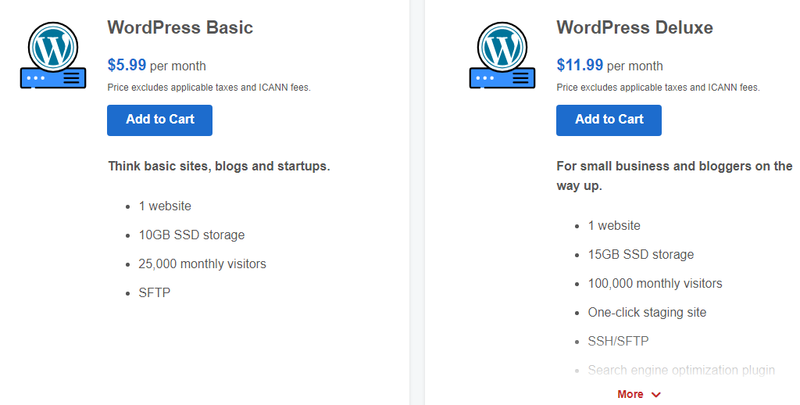 I like their WordPress hosting plan. No downtime, no need to hire a admin to block the hackers. I only need care about my website content and promotion.